-- Put your shoulder as close to the defender's hip as possible. -- This puts you in a direct line to the basket. -- By putting the defender on your side it allows for a clear window (opening) to score of draw the defense and pass to an open teammate. -- It gives your body momentum going forward and on balance. -- The vast majority of high school and college players avoid the contact and go around the defender. This gives the defense room to recover and eliminates any advantage of a good initial move. 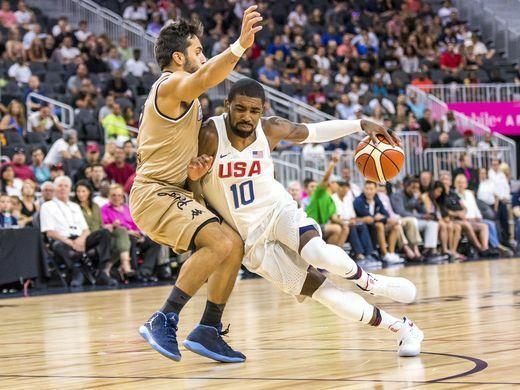 By going around the defender the offensive player often will be off-balance, resulting in a missed shot or layup.